"...The play, which is receiving a superb Echo Theater Company production directed by Alana Dietze, revolves around the overlapping exchanges during the pre-match warm-up sessions of a group of high school juniors who play for the Wolves. The talk is fast and fragmentary — routine banter of girls confronting the same social pressures and existential conundrums while their minds and bodies transition into adulthood." "...I’m not really sure if director Alana Dietze could have done anything more with The Wolves, a dramatically inert slice-of-life one act that follows an all-female indoor soccer team over a succession of pre-game warm-ups. Playwright Sarah DeLappe’s Pulitzer-finalist (?!?!?!?!) is awash in the perfect patois of adolescents as they gossip about subjects large and small: menstruation, lesbianism, nerves, game trials, and the Khmer Rouge. What begins as a funny, sometimes searing, indictment of gossiping, belonging, and clique-like behavior (with incredibly tight workout choreography but stretching that looks fake) wears on our nerves after 30 of these 90 minutes because it’s all muscle and no bone to hold it up. Try kicking a soccer goal with a body like that." "...Echo Theater Company has not only scored a major coup in snagging the Los Angeles Premiere rights to Sarah DeLappe’s 2017 Pulitzer Prize finalist The Wolves, the extraordinary production Echo has mounted of DeLappe’s Altmanesque eavesdropping on six Saturdays of teen-girl soccer warmups will surely be remembered as one of 2019’s best." "...It's also important to see this play as part of the stellar body of work from director Alana Dietze. Ms. Dietze has directed a string of plays at the Echo ("Dry Land", "A Small Fire") that have provided tender, poignant and fierce windows on the female experience. 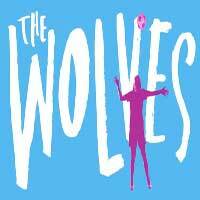 If you didn't get a chance to see those two plays - don't miss "The Wolves"." "...The Wolves is the definition of an ensemble show. The entire cast creates a gallery of varied characters who will tease your memory long after you leave the theater. Those hard-working young ladies are Jacqueline Besson, Katherine Cronyn, Makeda Declet, Troy Leigh-Anne Johnson, Connor Kelly-Eiding, Minzi, Ellen Neary, Donna Zadeh,, and Caitlin Zambito. Alison Martin also makes her moments count as a Soccer Mom." "...It’s both remarkable and unnerving when a writer, director, and cast work in tandem so effectively that you leave the theater feeling like you know the characters personally. It’s a rare magic, currently happening in Atwater Village, where Echo Theater Company is staging Sarah DeLappe’s The Wolves." "...The nine young actors are an amazing ensemble and an utter joy to behold. I believe this cast will be nominated come awards season." "...The Wolves would be terrific even without the big event that happens towards the end, rocking the girls' worlds. While this shifts the story from an everyday tale to something much more theatrical and dramatic, a change some may find unnecessary, it allows DeLappe to show off her impressive writing skills in a different way." "...The playwright's reach has exceeded her grasp. I think there is the outline of an eventually effective play here (Pulitzer Prize nom and its apparent success in the Big Apple notwithstanding) but there would need to be a lot less dribbling and a lot more plot and character that's about real, named characters, not numbers. I doubt any changes will be made to the script at this late date, however: It's already an established work. I can appreciate the conceit as an intellectual effort, but right now the performance places heavy demands on a theatergoer without sufficient compensatory reward."